In the end, what do you want from your life? 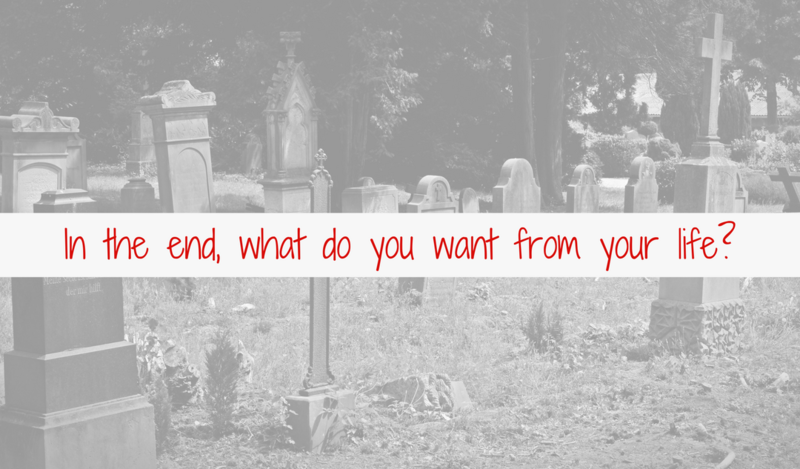 In the end, what do you really want for yourself and your life? What are the results and benefits that you want to accomplish and why? Consider what you will do in your life to have you walk away a winner, having what you want and designing your life the way you would like. There are some very simple answers and actions to take. Is there anywhere in your life where you are not recognizing your power, your strength? Would you be willing to think about it? Do people really know you? Who do you have disagreements with and are you willing to clean them up? What are you tolerating, putting up with, or suffering through? Are you willing to create a new image of yourself that reflects your true being? What would it take for you to express your courage, compassion, love, trust, etc? How will you develop those qualities and what is in the way? What would you look like with your new quality? What would it provide for your life? Make your life a priority. Disempowered thoughts keep you trapped and rob you of your life. Noreen Sumpter is a Personal Life is a ball of energy. She is passionate about her work. She sees people as amazing with amazing lives and as people who want to play big life games. Noreen only speaks to people from their awesomeness, which allows them to take risks and to move beyond their limiting belief they might harbor about themselves. Her personality is warm, funny, engaging and honest. You can count on Noreen to always have you discover your truth, own your voice and live life by your design. Want direction? She’ll help you find it. Want inspiration? She will have you create it. Want to get emotional healing and to let go of the past? No problem. She stands with you in that truth, and you move forward inspired and empowered in your life. Noreen is laughter, discovery and adventure wrapped up in a big ball of energetic fun!